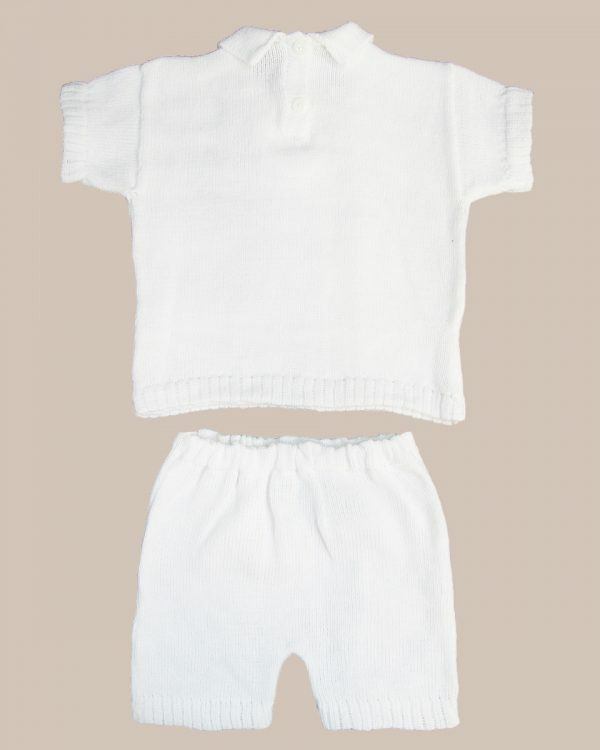 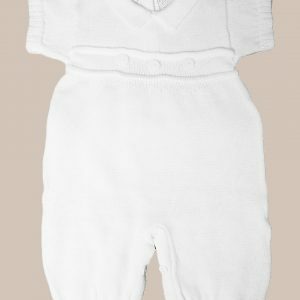 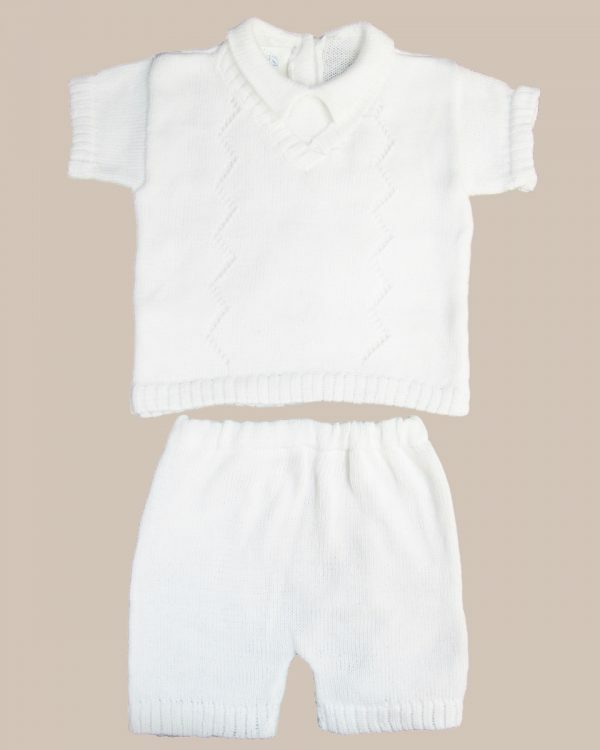 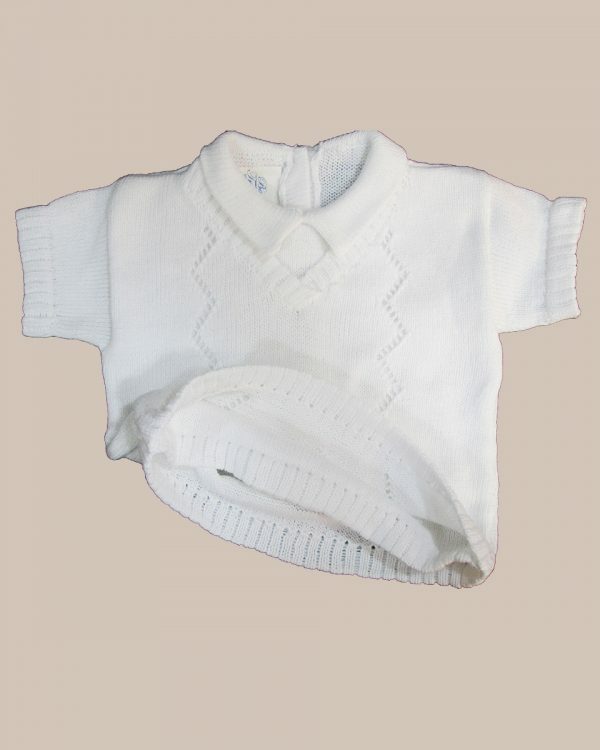 Baby boys short-sleeved 2 piece white cotton knit set with double layered V-neck sweater and matching shorts. Ribbed Edge Finishing on Sweater Sleeves, Bottom of Sweater, V-Neck, and Short Legs. An must-have short sleeve sweater and short set for daily use or Special Occasion: Christening, Baptism, Blessing, or Sunday Dress.